Ningbo Sunyyo Health Technology Co.,Ltd specializes in designing, developing and producing height adjustable desk. Main products are ergonomic product, like electric height adjustable desk, handle adjustable desk, etc. Our factory introduces Danish advanced transmission technology and German first-class motor manufacturing technology, develop rapidly in the field of intelligent household. 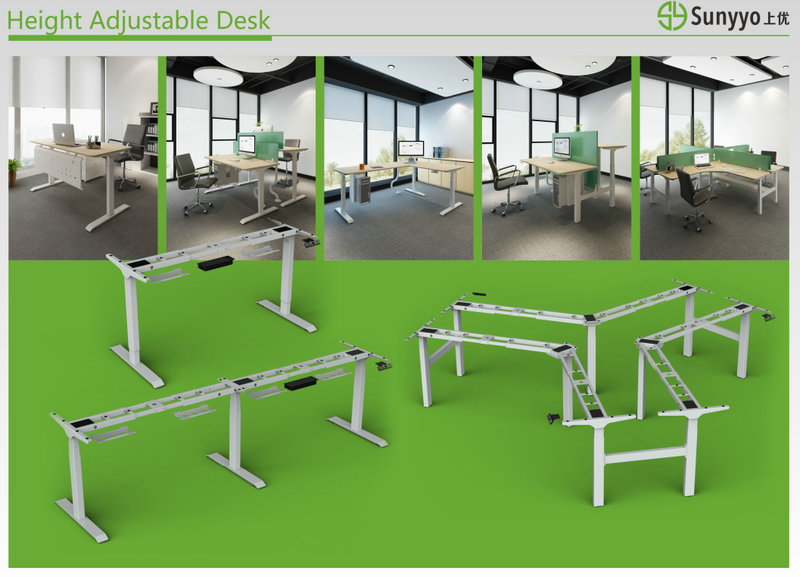 With the healthiest concept, producing the most professional height adjustable desk.